Greenhouse Fabrics: Repeat after me. SOFA!! A3975 Fog and 203440S Beige. 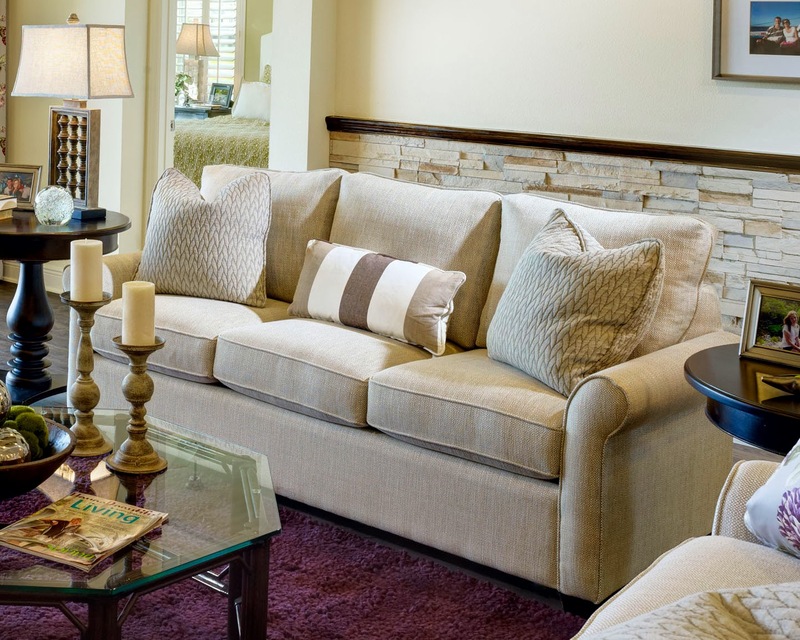 Within the furniture and design industry, it’s taboo to use the word “couch” when you are referring to, you know, a “sofa” or an upholstered seat for more than one person. By definition, the word “couch” is from the French “coucher” - meaning to lie down. Therefore, a couch is more like a bed or settee and has one or no arms and a lower back. The word “sofa” comes from the Arabic “suffah” - meaning a bench - and is generally characterized as having arms and a higher back. A4961 Garden and A3116 Azalea. Research has shown that both “couch” and “sofa” are used interchangeably on websites and by the general public. However, since we are industry professionals, let’s commit to the word sofa. If you are having a difficult time with this, try using a “sofa jar” similar to a “swear jar”. This just might break your habit of using the forbidden five letter word. Once you have mastered this, we can move on to “designer” versus “decorator”. Until then, remember to call Greenhouse Fabrics when looking for outstanding SOFA covers! One of our friendly Customer & Fabric Specialists will be happy to help you find the Right Fabric, in the Right Color, at the Right Price!